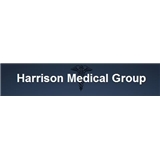 Harrison Medical Group (Harrison) - Book Appointment Online! Harrison Medical Group is a well respected, Primary Care Medical Group located in the heart of Westchester and has been providing Primary Care services for more than 11 years. All our physicians are board certified, and equipped with the best tools, such as state-of-the-art electronic medical records to better serve you. We accept almost all major insurances. We believe that the patient is the center of the medical universe around which all our work revolves, and towards which all our motions tend.